DokuWiki image is secure, up-to-date, and pre-configured to work out of the box. 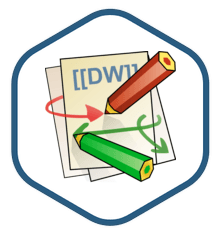 DokuWiki is a standards-compliant wiki optimized for creating documentation. Designed to be simple to use for small organizations, it stores all data in plain text files so no database is required.